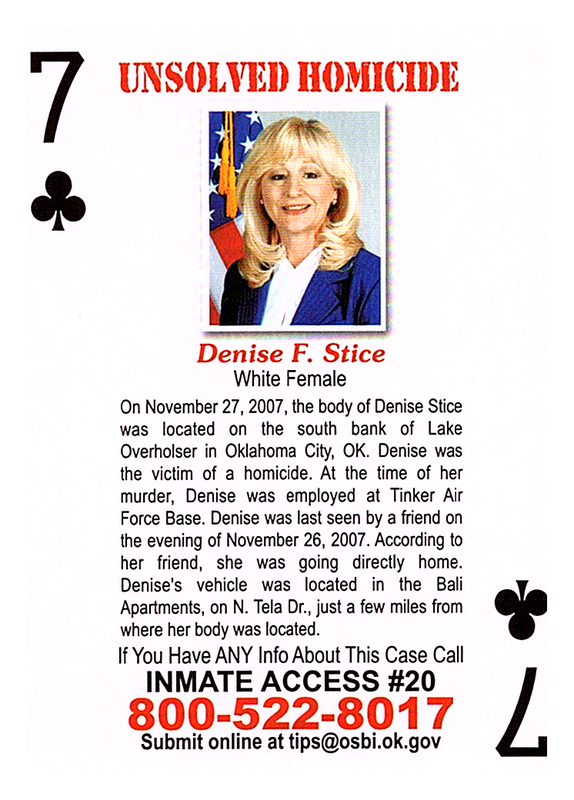 On November 27, 2007, the body of Denise Stice was located on the south bank of Lake Overholser in Oklahoma City, OK. Denise was the victim of a homicide. At the time of her murder, Denise was employed at Tinker Air Force Base. Denise was last seen by a friend on the evening of November 26, 2007. According to her friend, she was going directly home. Denise's vehicle was located in the Bali Apartments, on N. Tela Dr., just a few miles from where her body was located.